If you are looking for event space for family functions or team retreats, or if you require banquet facilities for corporate events, private parties and social gatherings, our fully equipped meeting and conference rooms are the perfect choice for a successful event. Please contact us if you require audio visual equipment or want to hear about our catering options. We host a large number of retreats and private functions throughout the year. 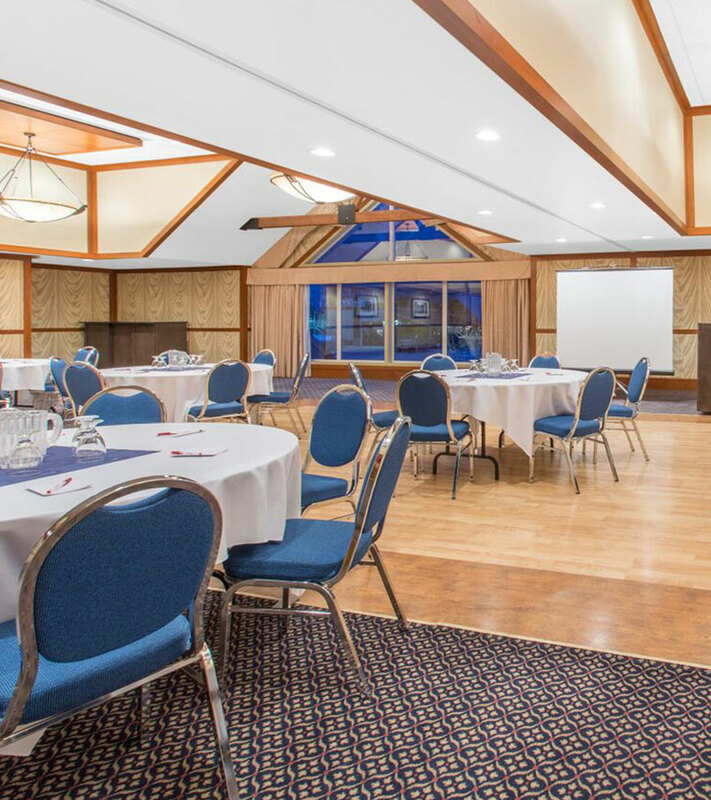 Whether you need to book space for a sports team event, an anniversary party or a family reunion, the Canmore Inn & Suites has the facilities you need. We provide flexible meeting space for high-powered meetings and corporate events. We can set up the room in any layout from classroom and U-shape to the standard boardroom setup. Our hotel has convenient audio visual equipment available, as well as complimentary high-speed Wi-Fi and business services such as faxing, photocopying and printing. Our hotel caters to teams and groups that are travelling to Canmore for sporting events, tours, retreats and various social gatherings. Contact us if you want to find out more about our facilities and services for groups and teams. 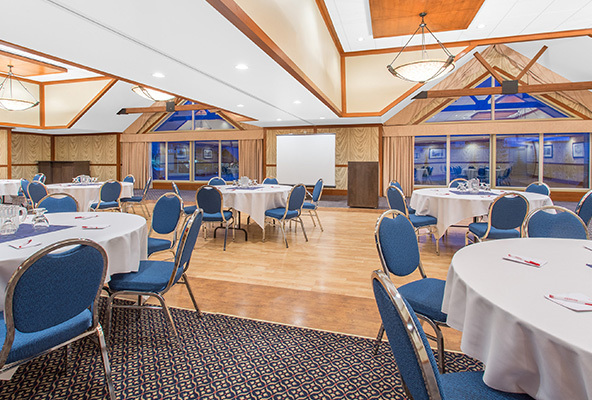 The Canmore Inn & Suites has flexible event space to meet the needs of our guests. From a large ballroom that holds up to 170 people to an executive boardroom that suits ten executives - there is a room that will fulfil your meeting and event requirements. With 2,400 square-feet of space, our Three Sisters Ballroom is the perfect venue for a larger business function or event. 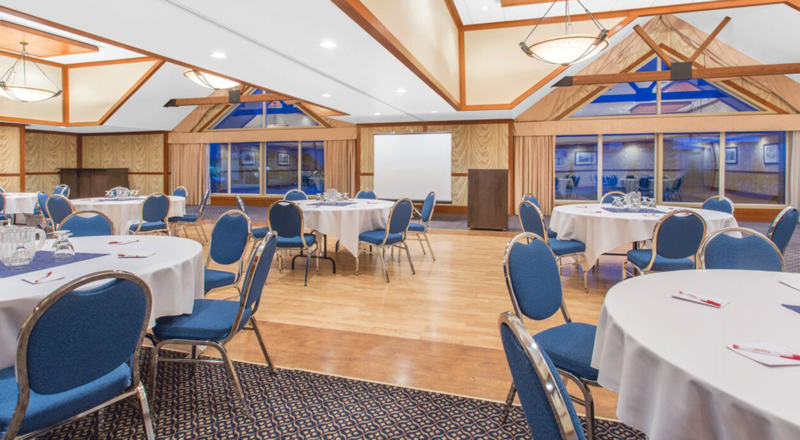 Located on the third floor and offering picturesque views of the magnificent mountains, this ballroom can hold anywhere from 150 to 170 people in classroom, banquet and theatre styles. Our Salon A and B venues offer 1,200 square-feet of space and can hold anywhere from 75 to 85 people in classroom, banquet and theatre styles. Our 500 square-foot breakout Grace Room is ideal for 16 to 28 people in U-shape, square boardroom, banquet and theatre styles (chairs only). This room can have coffee services, but is not suitable for functions that require meals. 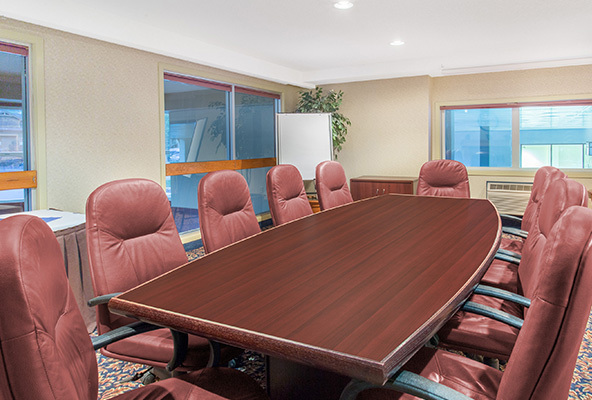 Our 350 square-foot board room is perfect for a motivational business meeting or small function for up to ten people. Please contact us if you require audio visual equipment or want to hear about our catering options. The Canmore Inn & Suites is pleased to offer a variety of catering options for your event. From hot and cold appetizer and pastry trays to buffets, platters and pizzas, we can assist you in arranging some the perfect dishes for your function. Start planning your event today by filling out our RFP (Request for Proposal) form below with all of the details of your group booking or contact us directly at 403-609-4656 if you require audio visual equipment or want to hear more about our catering options. We look forward to assisting you with your group reservation and welcoming you to the Canmore Inn & Suites.